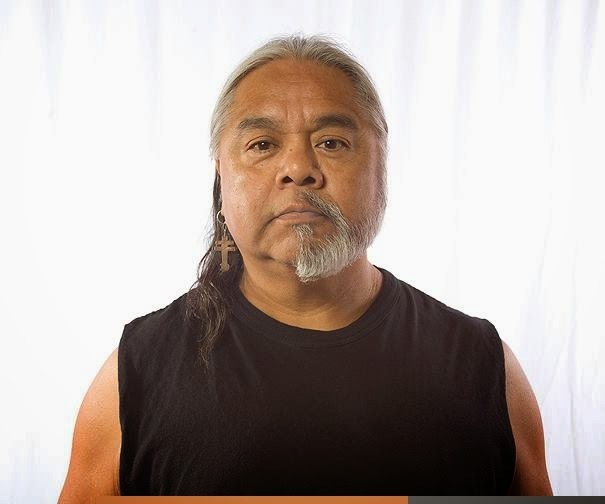 The Martha and Robert Fogelman Galleries of Contemporary Art at the University of Memphis will display the work of James Luna, American Indian performance and installation artist, Jan. 20-March 6. Luna is a leading figure in the field of contemporary Native American Art. His performances and multimedia installations have been at national and international venues. For the last 30 years, his work has explored Native American issues in a contemporary style inspired by his personal experience and observations. According to Luna, installation/performance art which uses a variety of media provides the best opportunity for Native American expression. From that perspective, his work confronts the nature of cultural identity, the tensions generated by cultural isolation and the dangers of cultural misrepresentation. 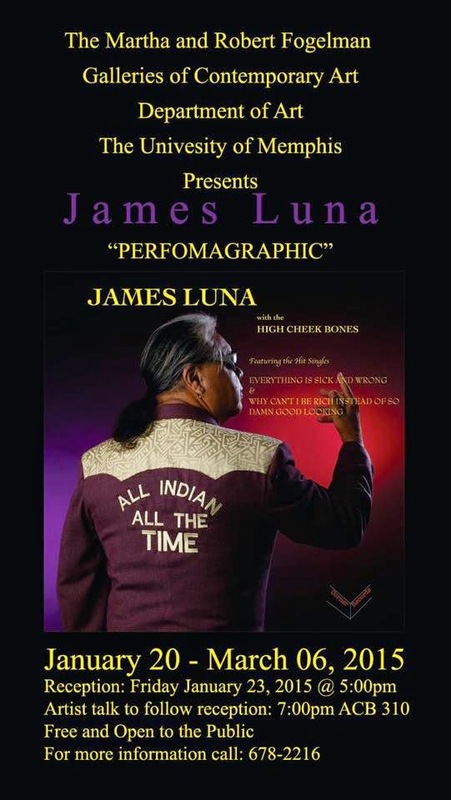 Luna is a Luiseno Indian and lives on the La Jolla Indian Reservation in San Diego County, Calif. He received a Bachelor of Fine Arts degree in studio art from the University of California, Irvine, and a master’s in counseling from San Diego State University. In addition to his art, he is a full-time academic counselor at Palomar College and has taught art part-time at UC San Diego. The latest edition of our IDENTITY CINEMA Series features the work of Anna Tsouhlarakis, Jan. 20-Feb. 06. Through a minimalist lens, Tsouhlarakis creates spatial constructions of reality and myth that converge at moments of pause where text and object illustrate predictions of the Navajo future. Her materials suggest a hindered return to the natural while her palette subtly evokes the industrial. Tsouhlarakis (Navajo/ Creek/ Greek) was born in Lawrence, Kansas and graduated from high school in Taos, New Mexico. Her family comes from the Navajo Nation in New Mexico and the island of Crete, Greece. In 1999 she received her Bachelor of Arts degree from Dartmouth College in Native American Studies and Studio Art. She then attended Yale University and received her Masters of Fine Arts degree in 2002. She has participated in various art residencies including Skowhegan School of Painting and Sculpture and Yaddo. She has been part of exhibitions at the Wave Hill Gallery in New York, Dreamspace Gallery in London, England, McMaster University Art Museum in Ontario and the Smithsonian’s National Museum of the American Indian. In 2011, she was a recipient of the Eiteljorg Fellowship for Native American Fine Art. Her work consists of various media including sculpture, installation, video and performance art. She is currently living in Washington, DC. Open regular University business hours, The Martha and Robert Fogelman Galleries of Contemporary Art is located in rooms 230 and 240 of the Art and Communication Building, 3715 Central Ave., across from Holiday Inn. For more information, call the Department of Art at 901.678.2216.